This was Jaguar’s answer to the BMW 3-Series and Audi A4 when it arrived in 2001, and the X-Type went on to enjoy an eight-year career. 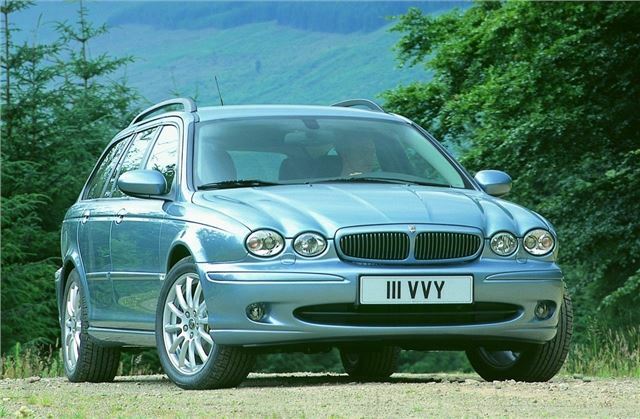 Some folk still complain about its Mondeo-based platform, but at least the end result was a Jaguar that rode and handled well. And with it being launched initially with all-wheel drive, this Jag managed to offer an interesting spec. With 2.1- to 3.0-litre petrol and 2.0- to 2.2-litre diesel engines on offer, there’s an X-Type to suit most buyers (even estate car fans), with prices ranging from just £500 to almost £10,000.